NEW BRITAIN - Income tax preparation season will come to an end in less than a week and the Human Resources Agency of New Britain is offering residents free, last-minute tax assistance until the last day of the filing season, which is Monday, April 15. The HRA provides this assistance through its Volunteer Income Tax Assistance program, which is still preparing tax returns at two sites in New Britain and one in Meriden. The New Britain sites, at 35 Oak St. and 336 Arch St., will be open from noon to 8 p.m. Meriden’s site, at the Meriden Public Library, will be open from 5 to 8 p.m. The New Britain sites are not usually open on Mondays, but will be for the final day of tax preparation. “Generally, we’ll help people whose incomes are $54,000 or less prepare their federal and state income tax returns and file them electronically,” said Juan Berrios, HRA’s Community and Financial Services program manager. VITA is an Internal Revenue Service-backed program in which volunteers train and become IRS certified to provide free tax return preparation for low- to moderate-income people. HRA started operating the VITA program in 2004 with one location in New Britain. This year more than 200 volunteers prepared taxes at 14 locations in New Britain, Bristol, Farmington, Meriden, Plymouth, Southington, Vernon and Wallingford. In 2018, volunteers and staff filed more than 6,100 tax returns, which returned $9.5 million in refunds to residents of these communities. To learn more about the program, visit www.hranbct.org/VITA or call 860-356-2000 to schedule an appointment. Walk-ins are also welcomed. The VITA program is funded by the IRS, American Savings Foundation and various United Way sites. 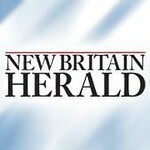 Posted in New Britain Herald, New Britain on Thursday, 11 April 2019 20:50. Updated: Thursday, 11 April 2019 20:53.